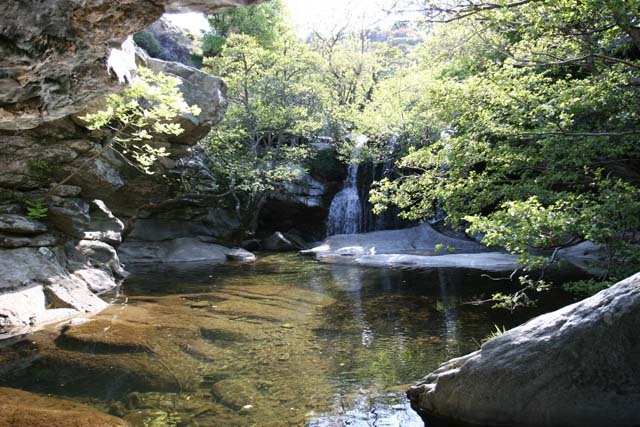 Hiking or trekking in Andros Pithara : The waterfall Pithara is found in distance of ten-minute walk from Apoikia …. The path that leads to this, is smooth and drowned in the ivy and predisposes for that it follows! Her abundant waters run impetuously in to green all around landscape shaping waterfalls and lakes where the aquatic life abounds. Infrequent species of plants sprout in all the length of glen. From 1863 up to 1936 moves, little below in Stenies village, the bigger watermill of Balkans, Fabrika!